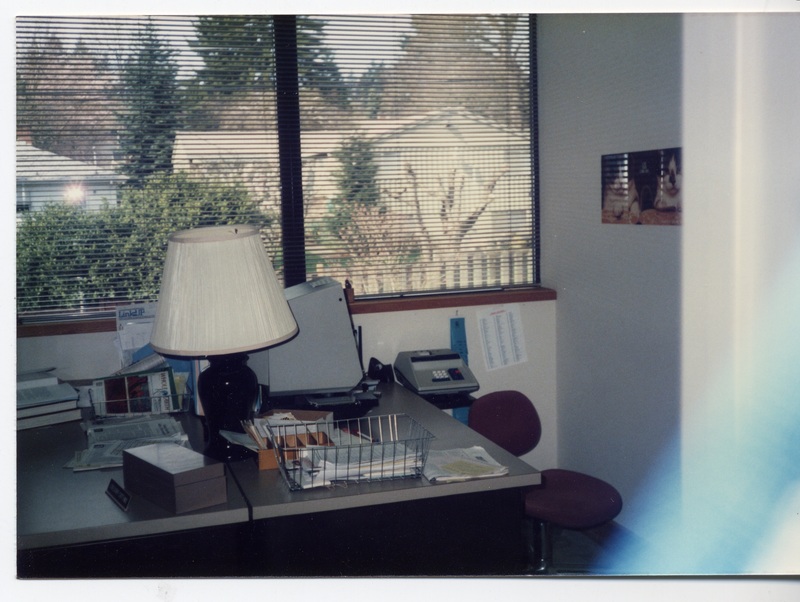 Description 2nd floor, Lake Oswego Public Library, 706 4th St., Lake Oswego, Oregon 97034; name on nameplate: Greg Cutting. Looking west onto alley behind library, between 4th & 5th Streets. Negative with photo.